Scholastic Ltd, 2018. Pages: 236. 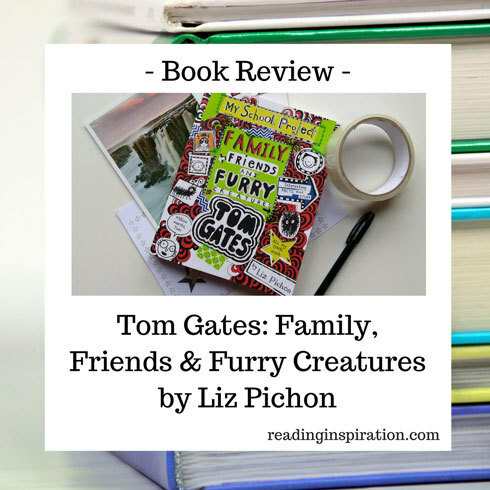 The 12th Tom Gates book by Liz Pichon has recently come out in paperback. The fun series of books follows the life of school boy Tom in his adventures with his friends and family. Family, Friends and Furry Creatures starts with an ordinary school day. Tom is extremely well organised and has created a list of all the “Things I Don’t Want to Do”. Embarrassing shoes – we’ve all been there! At the top of Tom’s list is to not wear his usual shoes to school as they are making odd noises. While Tom’s family rush to get ready for the day, this concern is distracting Tom. Tom’s Mum has a plan, suggesting Tom takes his gym shoes in as back up. She writes a note explaining why he would be wearing them (if the squeaking comes back). It’s a big day in class as Tom’s teacher, Mr Fullerman is organising an amazing school project for Open Day. Tom has to contend with his noisy shoe problem. And his competitive classmate Marcus seems to want all of the best and most useful materials for the project, including the really cool patterned tape. The Tom Gates books are great for children who find reading large blocks of text difficult. Liz Pichon’s story-telling style skilfully uses illustrations to drive the plot forward. The story is filled with drawings which are completely integrated into the text. These illustrate the narrative at every step and turn, making the story really accessible, fun and easy to follow. Children who might otherwise struggle to take on a long story will have fun and progress. The author really has fun with words and illustrations, for example drawing two eyes over the letters “o” in the word “look”, or drawing the word “shake” in a way that makes the letters appear to visibly shake. This visual writing helps convey the meanings of the written word on the page and supports word recognition. Many children who struggle with reading or who have dyslexia are drawn to and love the Tom Gates series. Liz Pichon has dyslexia herself, and supported her now adult son when he was diagnosed with dyslexia. 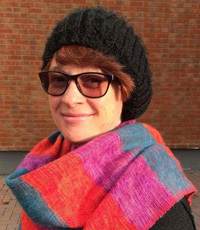 Although she didn’t set out to specifically write books aimed at children with dyslexia Pichon kept in mind the kind of very visual style of books that she and her son enjoyed when she starting writing the Tom Gates book series. Throughout Family, Friends and Furry Creatures, visual clues are helpful signposts. We can see how important the note from Tom’s Mum is because it is frequently highlighted by a box drawn around it. Despite being very much about everyday life, the plot is fast paced and so readers will keep turning the page to find out what Tom will do next. The only problem I found with the book is that there are not clear enough chapter breaks. This could help create a space to pause and take a breath in the narrative. However, one of the main reasons children love to keep reading these books, is that they are laugh out loud hilarious. Have your kids enjoyed and had a good laugh reading Family, Friends and Furry Creatures or other Tom Gates books? What are your favourite funny, family and everyday life inspired books for children? Let us know in the comments below. If you would like to find more great books for children find our book reviews and recommendations here.